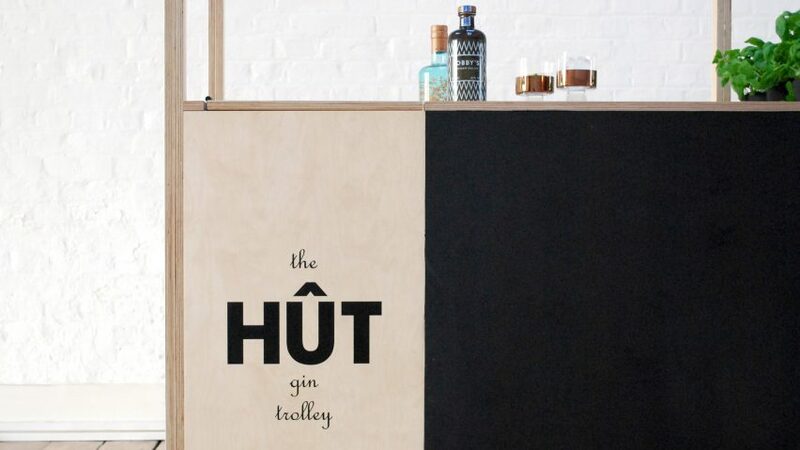 London-based architectural practice HÛT designed and built this movable gin trolley as office furniture for its new workspace. 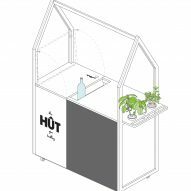 HÛT had recently moved to a studio in Shoreditch, and built the cart to use at social events it intends to host in the new space. 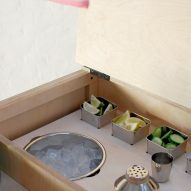 The practice describes its design as a contemporary take on the traditional 1920s cocktail trolley, made "for the pleasure of any gin connoisseur". 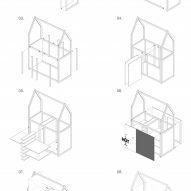 It features a house-shaped birch plywood structure, specialised storage compartments and a blackboard for writing the day's specials. 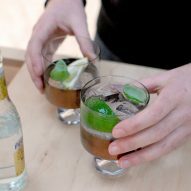 The gabled wooden structure forms the frame of the trolley, which has closed storage space on its lower portion with a surface for cocktail preparation above it. 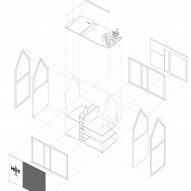 Four small pivoting wheels allow the item to be smoothly moved around the office space. 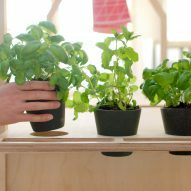 An attached ledge has been punctured with three holes used to hold plants or fresh herbs to accompany the drinks, and a liftable lid on the worktop with "pull for fun" written on it opens up to extra storage space. 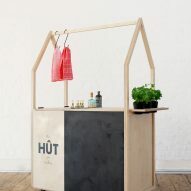 "The aim was to inject practicality and merriment into the trolley's design," said HÛT. 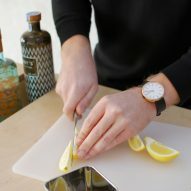 "'Pull for fun' encourages users to interact with the trolley, lifting the lid reveals all the tools needed for a proper cocktail." "Big enough to stand behind and serve, the trolley has considered storage for glasses, cut-out stations for fruit slices and herbs and hanging hooks from the top beam for stirrers, strainers, jiggers and mashers." 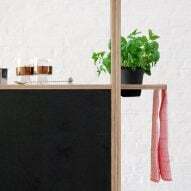 The trolley was made using a CNC (computer numerical control) machine on 18-millimetre birch plywood, and sealed with a clear Osmo oil. 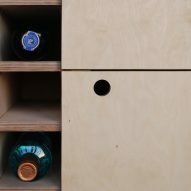 "Birch plywood has a light tone with a subtle grain which made it the perfect neutral base to work with whilst also having a modern feel," the designers told Dezeen. "The process in which plywood is made means it has a nice end grain, which complements the material's surface when positioned together," they continued. "This process also gives you an extremely strong and durable product that was a key consideration during the early stages." 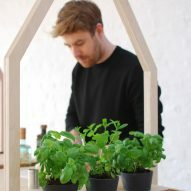 While the natural wood finish has been left on the majority of the main frame, part of the base has been fitted with a blackboard panel so that a weekly cocktail menu can be written up. 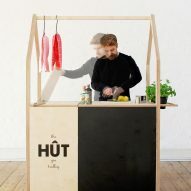 HÛT was founded in 2002 by architect Andrew Whiting. Its past projects include a "jewel-like" glass extension to a Mile End house and an oxidised-steel addition to a brick home in Hackney. 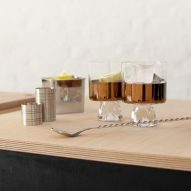 Following its work on the gin trolley, the practice plans to produce more bespoke furniture items.